Doorways serve both an aesthetic and utilitarian purpose. So when it comes to selecting a door system for your new home or remodel, you need to consider a number of factors such as durability, practicality, and even style. Durability considerations include their ability to withstand different weather or climate conditions and regular usage. Practicality considerations include clearing space, installation requirements, investment costs, maintenance etc. These are glass paned doors that can swing either inside or outside and can be used as both interior and exterior doors. They are generally used to connect the kitchen and living room, or as patio or balcony doors. They are suited to both modern and traditional home designs. 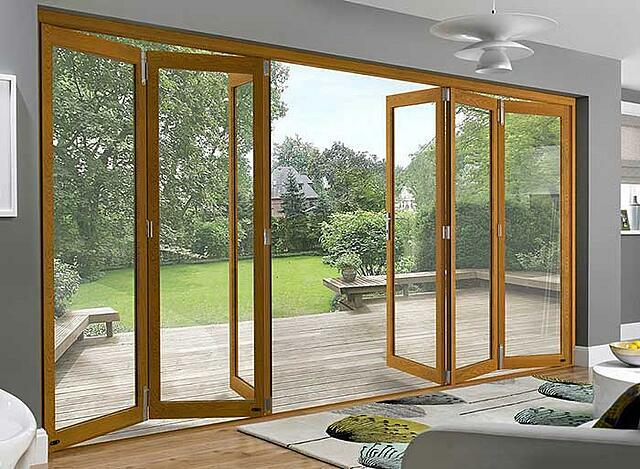 One of the major advantages of French doors is they provide excellent ventilation and lighting. 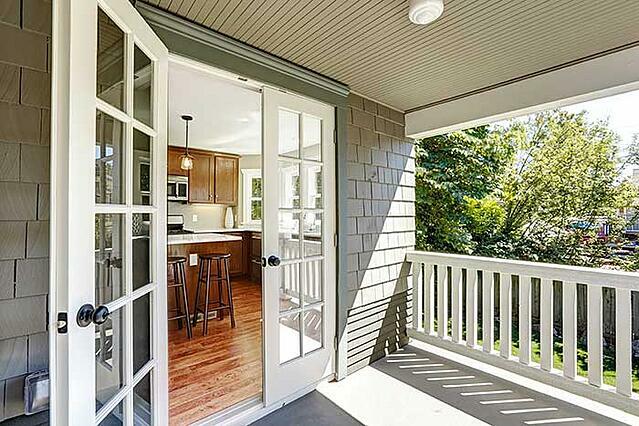 However, in terms, of space occupied by the doorway, French doors can fall short, because they need a swing space equal to the width of each door on each side. This can be a hindrance for free movement and furniture arrangement, especially if the doors swing inward. Pocket doors slide into a pocket into the wall, and thus are excellent for space saving. As for clearance, when open, they leave the entire doorway clear, and are ideal for rooms which need to be blended into one large space; for example for large parties. However, in terms of installation, the thickness of the wall into which they slide into needs to be atleast twice the width of the pocket. They are not excellent sealers for sounds or smells, since they merely slide into position instead of fitting into the doorway like other doors. Also called bi-fold doors, these doors have panels that fold in on the adjacent panel, and each half stacks on either side of the doorway. They can be made of wood, aluminum and in most contemporary home designs, glass. They are mostly chosen for their space-saving and aesthetic appeal. They also provide excellent lighting and ventilation. A disadvantage of folding doors is that when they’re closed, the panes can interrupt the views, especially if they’re used as patio doors. Additionally, you’ll need to clear some space for the bi-fold when they are partially or completely open. These are another common choice among homeowners, primarily for their aesthetic appearance. These doors are anchored on a pivot on the floor in the middle of your doorway; unlike traditional doors whose sides are supported by the walls, the entire weight of the pivot is supported by the floor and the pivot. Therefore, they can be pretty sturdy. They also make moving large objects like furniture in and out of the room easier. 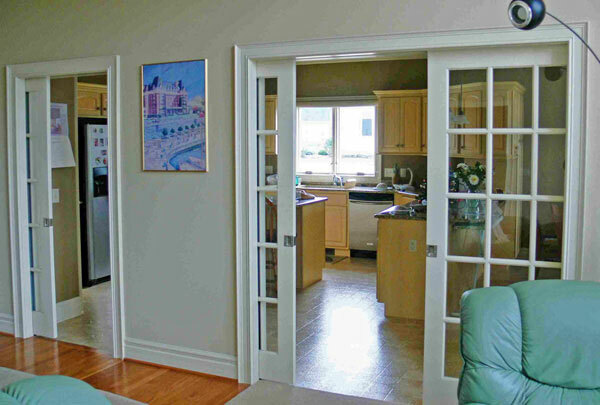 However, unlike sliding or bi-fold doors, pivot doors don’t seal very well. Additionally, these doors also need some swing space around them. 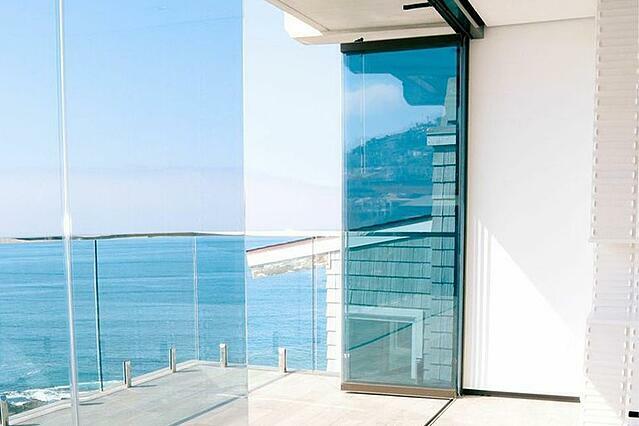 Frameless sliding glass doors are becoming the popular choice today for both aesthetic and practical purposes. Here the panes do not have vertical frames, and slide on horizontal tracks, thus providing uninterrupted views between rooms and to the outside. Furthermore, each pane takes up 1 inch, creating a thin stack compared to other stacking door systems and making them excellent space savers. As for a clearance space, this system provides a lot of flexibility: since these doors can be made to stack on either side or the panels can be individually slid in their tracks to create any amount of space you need between your doorways. The product is also extremely secure with a system that locks both at the top and the bottom. The glass panes are manufactured using low-E, impact-resistant glass that make it energy-efficient and safe. 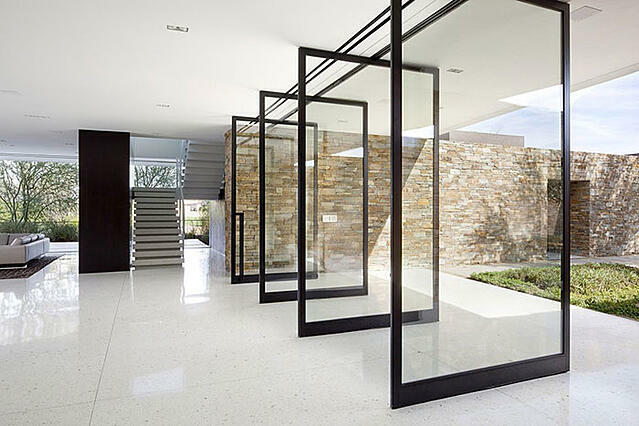 See how Frameless Glass Doors make a difference.